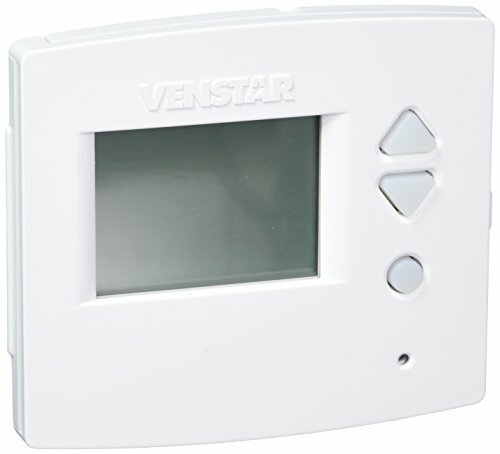 Made of high quality material, the thermostat is durable and safe to use. It is easy to install and convenient to use. 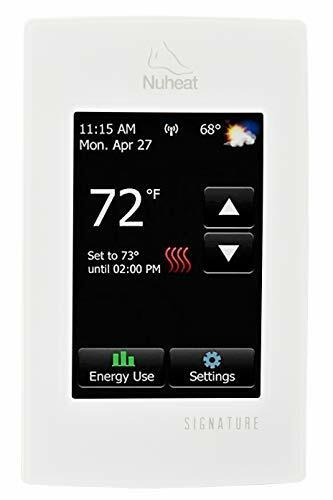 You can connect the thermostat to your WiFi net work and allows it to adjust the temperature at your home. It can be controlled by smart mobile devices or through the touch screen on the thermostat. 6 period daily programmable controlling temperature setting. Internal and external temperature sensor for choice. Time display(minute, hours, weeks. 5/5+1/5+2 time modes. 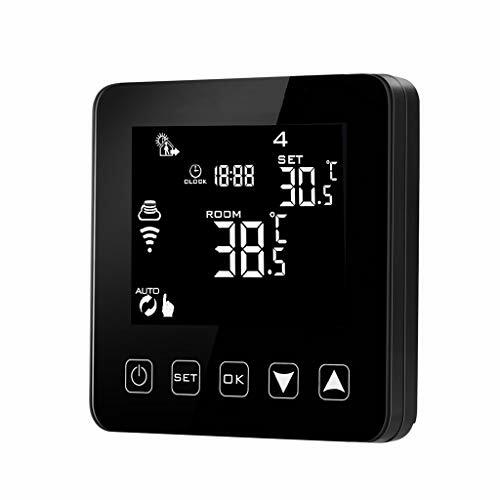 Room temperature display precision is ±0.5℃, inner precision is 0.1℃. Room temperature automatically calibration function and anti-freezing function. Can control motorized ball valve, motorized valve, thermal valve, solenoid valve, heater, electric heating film, electric heating crystal and electric under-floor heating. 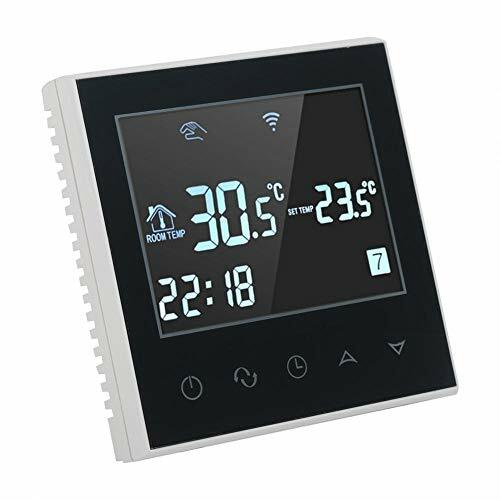 Large LCD touch screen with backlight display and double temperature display mode.